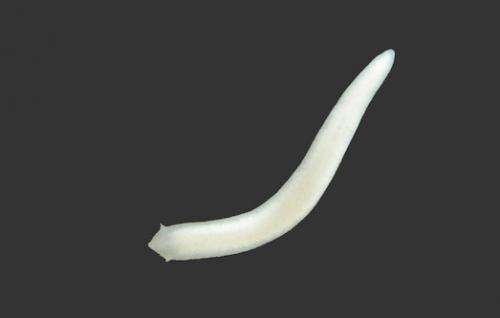 Recently, field research by the Brazilian zoologists Lívia Cordeiro and Rodrigo Borghezan, of the Universidade de São Paulo (USP), recorded the first obligate cave-dwelling planarian of the suborder Continenticola (Platyhelminthes) in South America. The study was published in the open access journal ZooKeys. The new species Girardia multidiverticulata belongs to the genus Girardia, in which species recognition is difficult, because of the great morphological resemblance between species. However, the new species can be easily recognized by a unique feature in its reproductive apparatus, namely a large bulbar cavity with multiple diverticula. 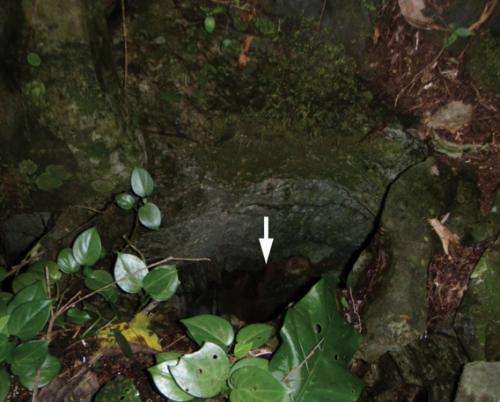 G. multidiverticulata was described by the south brazilian research group on triclads, led by Dr. Ana Leal-Zanchet, of the Universidade do Vale do Rio dos Sinos (UNISINOS), in São Leopoldo, southern Brazil The type-locality of the new species is a limestone cave, located at 266 m a.s.l. in the karst area of Bodoquena Plateau. The flatworms were directly sampled from a lake (10 m2) in the cave, at a depth of 25 m.
Despite a significant development of the speleobiology in Brazil over the last two decades, species diversity of Brazilian cave fauna, especially of invertebrates, has been highly underestimated. The Bodoquena Plateau, which is located in the Cerrado Biome (Brazilian savanna), in central Brazil, has about 200 recorded caves with a rich system of subterranean water resources and high troglobitic diversity.